The artistic atmosphere created through the visuals Plague Road offer a dizzying variety of steampunk detail, bringing players to a time of clockwork soldiers and mechanical witches fighting a disease that seems to permeate the very air. It’s unfortunate that the game behind this look just isn’t very compelling. 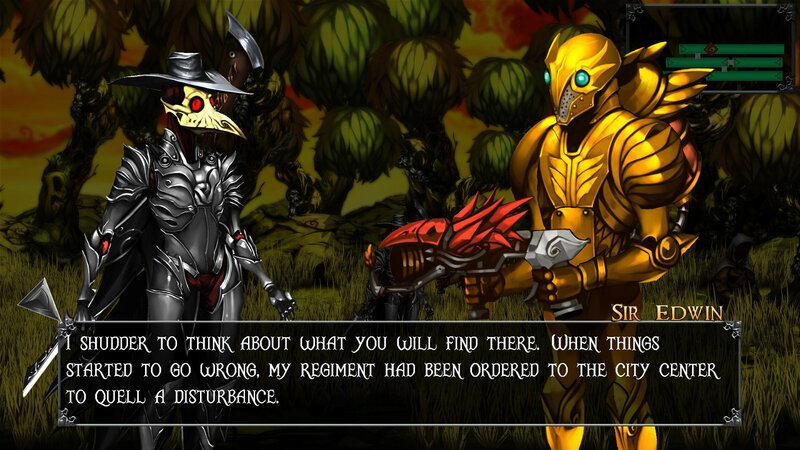 The visuals set up in Plague Road are an engrossing world of illness, machines, and death. 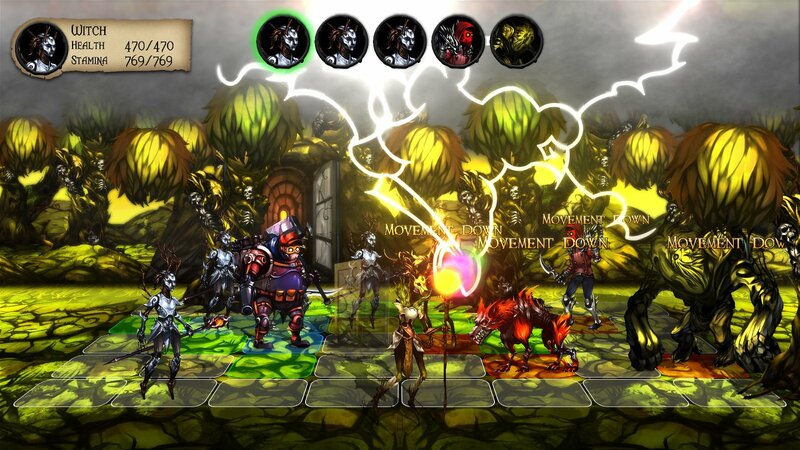 Each of the game’s characters and monsters look great, offering complex steampunk looks at healers, soldiers, and other beings, as well as some varied, mutated appearances for dogs, golems, and additional creatures. They each capture the game’s strong visual style, all of which hints at sickness and the efforts to stave it off with its use of sickly yellows and festering reds. This world showcases that it is unwell through the colour choice. The way the monsters lurch about and stare or the tones of their exposed, twisted flesh hint at the violent way the plague has affected them. They seem to be in pain just from their appearance, telling a strong story with visuals alone. The rescued victims and doctors continue this story, covered in steel plates and armour all over to keep them safe from the world outside. It’s a striking look that is wonderful in its detail and ability to tell a story without words. As sick as the world looks, it’s up to players to head out into this place and bring back as many survivors as they can. This involves going through four different generated areas, all of which consist of long hallways with enemies in them as well as doorways down new paths. The generation doesn’t add much to the game since many of these halls all look mostly the same, but it shuffles which enemies, victims, and items you’ll find, adding some variety to each run. Victims are what you’ll want to find most on these trips. They’re strewn about each area in random numbers, sitting out in the field, and if you click on them, they will return to your home base. You can only access these new people by going back to your base, but since they can offer whole new combatants to help in the monster-filled fields, the first few runs will likely end quickly as you return home to unwrap your new ally. Victims can be witches, engineers, soldiers, healers, and peasants, and they all offer different powers, many of which are as random as the characters you find. Some healers can restore hit points, while others offer regeneration and party-wide buffs. An engineer might fire a single rocket or summon a field-clearing train. It makes each victim reveal feel exciting, offering more than just a class to add to your party. Unwanted victims can be used around your home base to boost its capabilities. This base has buildings for each class where players can retire a victim in order to progress toward unlocking an ability or boost they can add to that class (or just something useful in general). The drag is that it takes a lot of victims to power these structures up, and the game’s randomized nature means that players will have to grind out areas in order to hopefully get more. 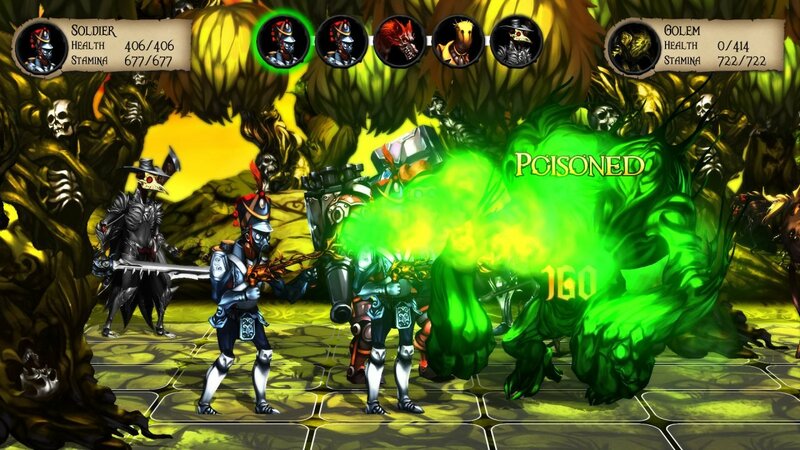 The combat in Plague Road is quite simplistic despite its array of powers. 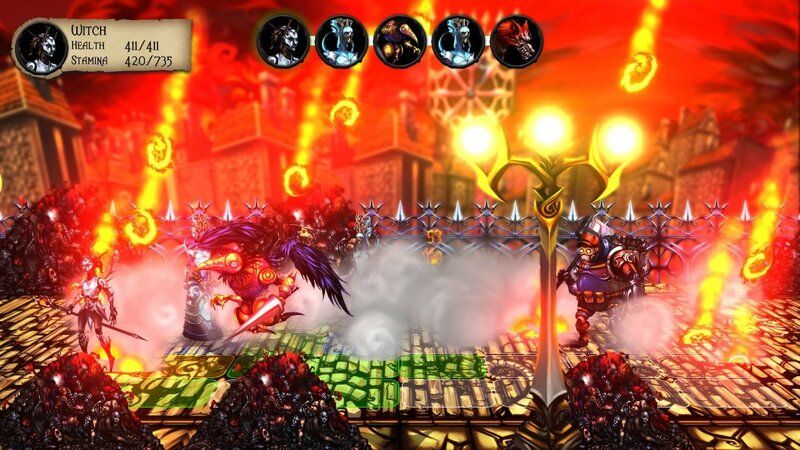 Players and enemies will move around a tiny grid, most of the time able to hit each other right from the beginning of each battle, or within a few steps, making the grid feel almost pointless. Also, despite the enemies showing great visual detail, there aren’t that many types, and most all fight in the same ways, making battles feel repetitious. There is also no benefit to combat. Players don’t gain experience or find items by beating monsters, so it’s better to just avoid fighting at all. Still, that’s just about impossible on the game’s narrow, sidescrolling maps, so you’ll often end up in recurring battles that don’t help you in any way. Sure, you get leaves from each victory that you can turn into healing items at your base, but the game puts a very strict restriction on how many you can carry into the field, so the leaves become almost pointless within a half hour. It doesn’t help that combat simply isn’t that challenging. Enemies don’t feel like they do enough damage to be much of a threat, and since they just attack party members at random, there is little sense of danger. That can be compounded by players getting victims with extremely strong attacks, some of which can wipe out whole parties of enemies. Plague Road seems to seek challenge through attrition rather than through engrossing encounters. The player is worn down by repeated fights against dopey enemies, and with the small cap on healing items, this means repeated returns to base or repeated forays to collect victims to retire to upgrade the base to carry more healing items. There’s no avoiding this. Since combat is difficult to avoid on the straight paths and there is no way to know if you’re going the right way on randomized maps, that means many battles. With few healing items, that also means mandatory upgrades. A few transportation abilities means you can grind in new areas you discover, but overall, it just feels like you grind the same easy fights for hours just to survive to the easy fights of the next area, hoping to find victims as you steadily plod to the game’s conclusion. 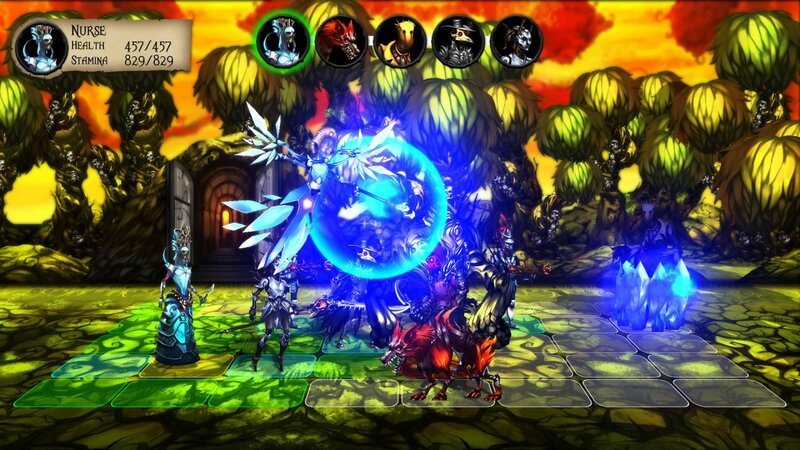 The visuals in Plague Road may tell an intriguing story, but the rest of the game has very little to say. It’s a game where combat is the main thing the player will be doing, but its decision to weaken players over time with easy battles that are hard to avoid—and offer little benefit—makes fighting boring. It’s pretty in its sickness, but the bulk of its play is just pure tedium. 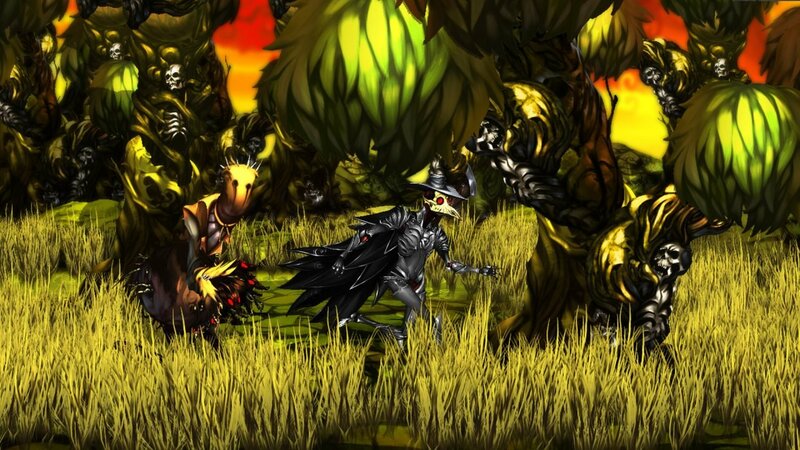 Plague Road’s visuals may tell an intriguing story, but the rest of the game has very little to say.